The sophomore cohort of the Br. 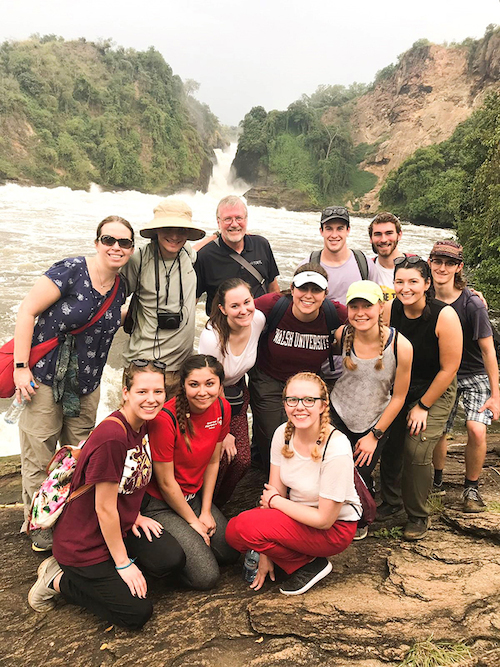 Francis Blouin Global Scholars program recently spent 10 days traveling throughout Uganda in an immersive global learning experience that combined educational inquiry with the exploration of the diverse Ugandan culture and traditions. 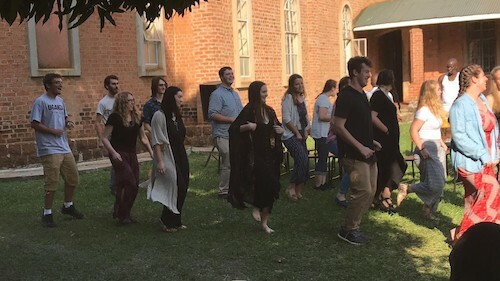 Under the guidance of Blouin Global Scholar cohort faculty advisor Dr. Amanda Gradisek and Dr. Bradley Beach, the group of 16 students toured the country, met with local leaders and visited sites relevant to the cohort’s themes of education, equity and opportunity. For sophomore Allison Anderson, the experience was transformative. 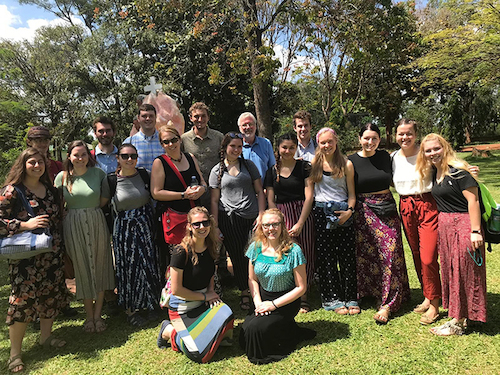 Walsh students and faculty have been visiting central and northern Uganda for study, research, service, and the sharing of culture since 2007. Considered Walsh's most immersive program, students have the opportunity to live and work with Ugandan counterparts at Kisubi Brothers University College near Lake Victoria and the University of the Sacred Heart in the Archdiocese of Gulu in the north. Highlights of the trip included meeting with local tribal leadership as well Sister Rosemary Nyirumbe from Saint Monica's Girls' Vocational School and the Archbishop of Gulu John Baptist Odama. 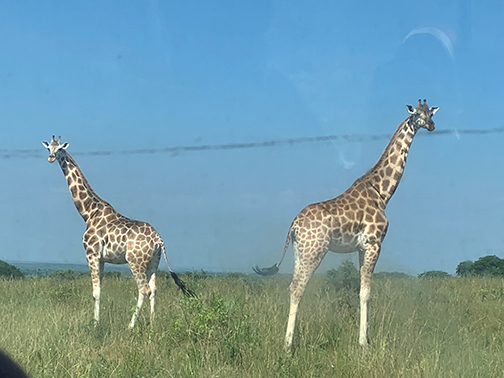 Leading up to the trip, the Blouin Scholars studied about the history and culture of Africa and Uganda. During their stay, the Blouin Global Scholars visited Murchison Falls National Park which sits on the shore of Lake Albert in northwest Uganda, and participated in traditional Ugandan dances with a professional dance group and students from the University of Sacred Heart.